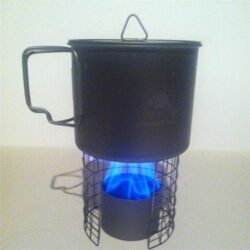 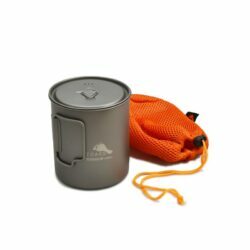 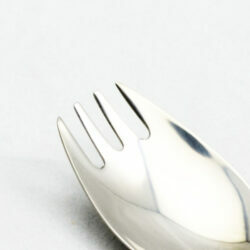 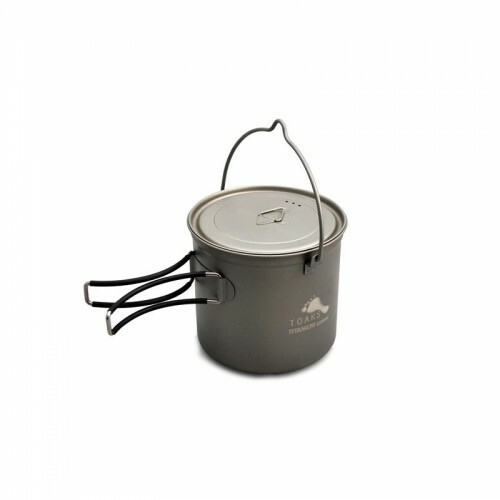 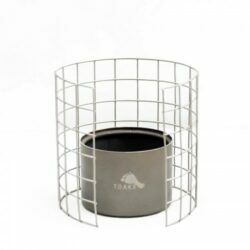 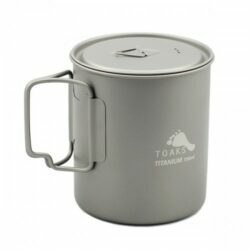 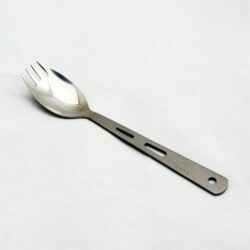 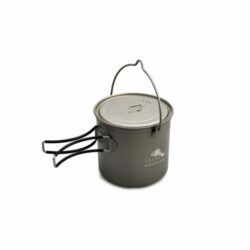 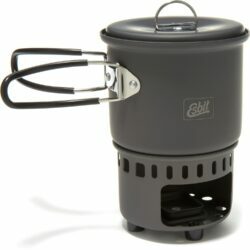 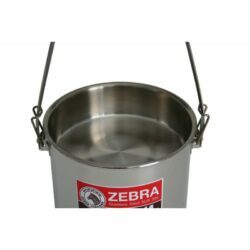 Ultralight titanium pot with a capacity of 1100ml. 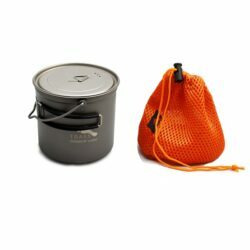 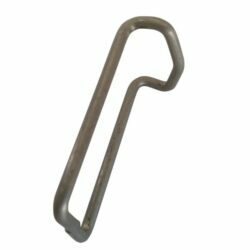 Has convenient bail handle to suspend pot over a fire & grip handles with heat protection. 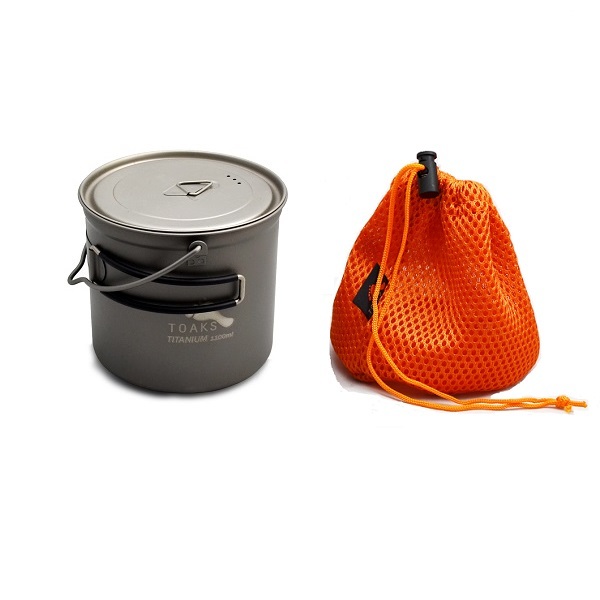 Comes with lid and mesh bag.